We organised our first AMA-Ask Me Anything session with Laviral, our destination expert for Leh-Ladakh and it was happening! What’s AMA? A online Q&A session we organised for poeple planning their Leh-Ladakh trip this season. A platform to interact and share all the queries/conerns with an expert. Research says that on an average during planning phase people go through 32 sites before they have figured out their plan (or out of exhaustion anything that came their way, just saying). AMA, as it turned out, is a great way to get answers to a lot of those very specific questions. Over 30 poeple interested in bike trip to Leh-Ladakh joined the session. 20+ questions were taken up and aswered by Laviral, he was killing it there. For people who missed the session, here is the resource of all tat was discussed. We hope you find some of your answers here. (Q) Supreet – Which place is a must- visit and another which is just over-hyped in Leh ladakh? (Q) Amit Bhargav – Why are these group tours so costly? All of these factors build up the price for the group, infact what Trodly is offering is inclusive all taxes, No Hidden costs. (Q) Tarang – I am planning a ride in the month of June – 3rd week. Would that be a good time to start from Manali? (A) Laviral – 3rd Week is the good time from Manali to Leh if all the 5 high passes opens up. To be on a safer side, start your trip in 1st or 2nd week of July. (Q) Ankit – What type of bike is the best for the journey? (A) Laviral – Royal Enfield 350 CC is good for Single Rider and 500 CC for 2 Person on 1 Bike. Avenger is also a good option. (Q) Kiku – Will pulsar 150 be ok for the ride to Ladakh or would it be too spraining? (A) Laviral – Royal Enfield and Avenger is best and comfortable choice for riding on this terrain purely because of the riding stance, it’s not a small ride. Any 150CC+ bike is good for Leh-Ladkah ride but because of the sitting stance Pulsar will be little exhausting. (Q) Mayank – I want to go completely off beat, can you suggest a route which is safe, food/fuel are easy to find, yet not very touristy? (A) Laviral – You may opt for Srinagar-Kargil-Leh route. You can stay at Lamayuru or villages in Sham Valley instead of Kargil. (Q) Pankaj – What problem can I face if I am planning to ride by myself without going with any group? (A) Laviral – As such route is safe. To manage the ride by yourself you should have a know how of basic bike repairing. Chain/Clutch/Break wires are very common break downs, you will need to carry extra liters fuel, pre-book all the accommodations and get permits. I woudln’t adivce Nubra to Pangong for a solo rider. There is no defined route so chances are that one might just go completely off track. (Q) Sneha Sinha – How should I choose a tour? What is that I need to make sure of? Too many options available with not much clarity, I am not able to decide. (A) Laviral – You may select the tour depending upon your date of travel, number of days and mode of travel (more importantly). If you are looking for a group departure for a bike trip then make sure that you are spending time at the locations mentioned in the itinerary (some of the important places to stay is Hunder/Diskit in Nubra Valley and Pangong Lake). Make sure the group really has a back-up vehicle with mechanic and should carry your luggage, extra fuel and bike in case of break down. Most importantly make sure that you are getting assured departure, many a time people waste days and money because trip organisers don’t start the trip becuase of their faulty operations. (Q) Shubham – What is the ideal number of days for the ride? 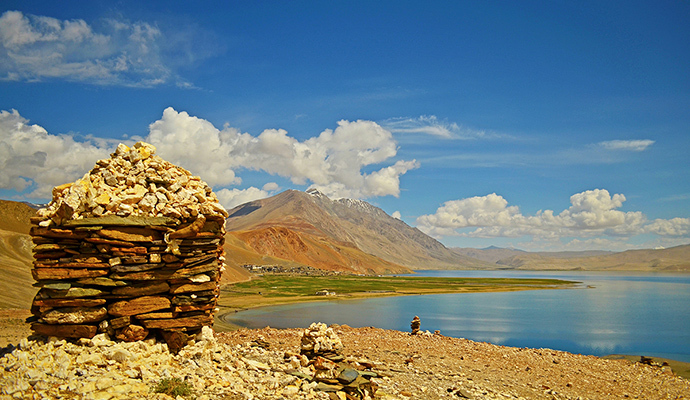 (A) Laviral – It is good to keep atleast 10 to 12 days in hand for a Leh Ladakh bike trip. You don’t want to rush everything. (Q) Arjun – One of my friend on the trip is from Germany. Is there any special permits and charges for foreigners? (A) Laviral – Foreigners are required to obtain inner line permit to visit Pangong, Nubra, Tso Moriri or other restricted area. The same may be obtained from the Distrcit Collector’s Office located in Leh town. It will cost approx Rs.500/- for 5 Days including environment and wildlife fee. Indians are not required to obtain inner line permits. (Q) Arjun – How many days does it take to get these permits? If we go for a planned trip these permits would be included in the price? (A) Laviral – You can get the permit work done within a day’s time. The permit office is open between 09:00 am till 05:00 pm. If you are going for a planned trip then your trip planner can arrange for the permit in advance for you, once the booking is made. (Q) Amarviin – Is it safe to ride from kochi to ladakh all by my self? what all factors do i should consider other than those basic bike problems you have already mentioned? (A) Laviral – You need to start early everyday and try to reach the destination before 04:00 pm. If in case your are travelling solo then keep on posting about your wherebouts or inform your family and friends. Keep your original ids and emergency contact numbers handy. (Q) Deepak – I want to do Srinagar-Leh-Manali trip listed on Trodly.com but want one extra day in Leh for exploring the town. Is that possible? (A) Laviral – You may have enough time to explore Leh when you ride back from Pangong. It’s 4 hour ride from Pangong to Leh. We may start early from Pangong to explore Leh town, Leh Market, Shanti Stupa, Leh Palace etc. (Q) Raghu – On average, how many kms would we ride on Manali-Leh ride? (A) Laviral – Manali to Leh is approx 500 Kms. Leh-Nubra-Pangong-Leh is approx 380 Kms. On an average we’ll be riding 160 kms per day. (Q) Sapna Mehra – Hi Laviral, I am planning to travel to leh, not on bike but just travelling around, I have 2 year old baby! would it be ok to travel with her in high altitude? (A) Laviral – It is advisable to travel between mid May to mid August when travelling with kids. People travel to Leh with their kids from all parts of the world. Every individual immunity is different, taking rest to get acclimatize is the best option when coming by flight in the high altitude. Things to keep in mind when travelling with todllers is to keep when hydrated and not try to force feed if baby’s appetite is low. That said, Leh city has medical facilities in case some medical assistance is needed. (Q) Aditya Gupta – Hi Laviral, my query is not about the bike ride. I plan to reach Leh and then explore the area with my family and friends. What are modes to to have a great trip, see all places other than riding around? (A) Laviral – You may hire a taxi for your friends and family. 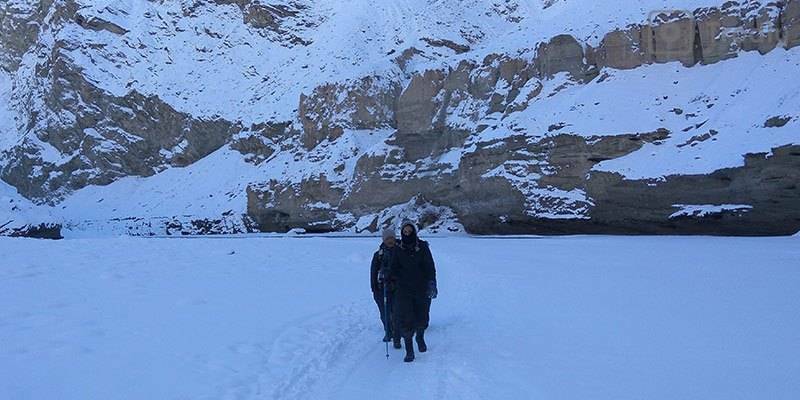 Depending upon your time and date of travel you may explore – Alchi, Basgo, Lamayuru, Lekir, Nimo, Phyang, Tso Moriri, Hemis, Pangong, Spagmik, Nubra(Diskit/Hunder), Turtuk – Last village between India and Pakistan. We do have jeep safari plans which I think might interest you. You should check it out on Trodly.com. (Q) Anisha – For women during the ride-Are there appropriate toilet facilities? (A) Laviral – At all the stops during the rides there are toilets and for our planned trips we carry toilet tents in the support vehicle and where ever necessary we pitch it for convenience to the participants.